I read this article and found it very interesting, thought it might be something for you. The article is called Bihar’s Poorest Women Are Changing Their Lives, With A Little Help and is located at https://archive.indiaspend.com/cover-story/bihars-poorest-women-are-changing-their-lives-with-a-little-help-88004. It was at a meeting of Jeevika SHG women members, didis as they are called, that chief minister Nitish Kumar promised–recklessly, some said–a ban on alcohol if voted to power, a promise he has kept, much to their delight. In 2012, when the police dragged their feet in a murder case, a group of Jeevika didis, including Saroj Devi, gheraoed (picketed) the police station, broke down its gates and insisted that arrests be made, she said. In 2016, she contested local panchayat elections–and won by 288 votes. The emergence of Bihar’s most marginalised women in a state that has consistently remained at the bottom of the statistics sweepstakes is significant. Despite the data, women are visible everywhere–asserting themselves on the streets, in the field, cycling to school or running small stalls at bazaars and haats. Bihar has India’s worst female labour force participation, and as with the rest of India–as our ongoing, nationwide investigation has discussed; today’s story is the eighth in the series–women have been dropping off the employment map despite rising educational levels and economic betterment. Sheela Devi said she couldn’t sleep that night. 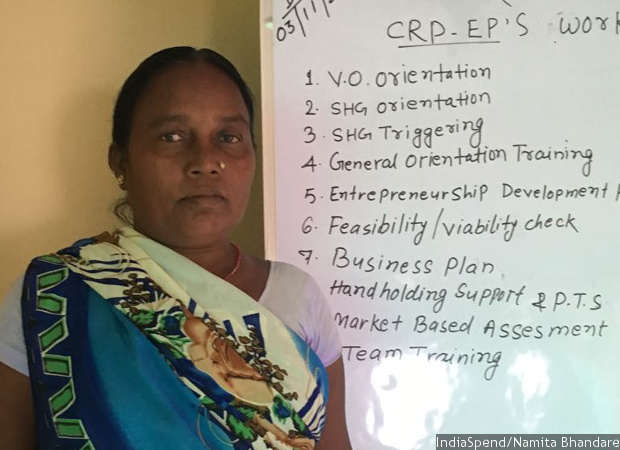 The next day, she asked her SHG for a loan of Rs 80,000. Combined with her savings, she bought her son an air-ticket–not to Delhi but China. If he wanted to learn Mandarin, he would do it properly, her way. Nobody in her family had ever taken a flight to anywhere. For instance, the programme has a social-afforestation project, where the women receive wages through Mahatma Gandhi National Rural Employment Guarantee Act (MGNREGA)–India’s make-work programme–funds to plant and maintain trees that they will own after five years. 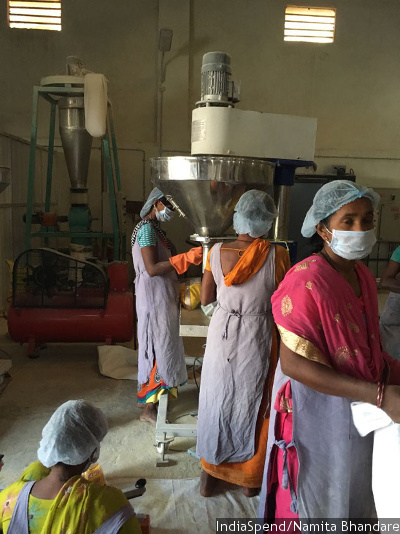 Another partnership between Jeevika, Nidan, a non-profit, and GAIN (Global Alliance for Improved Nutrition) provides wheat mixed with rice and pulses and fortified with minerals and vitamins for anganwaadis. Jeevika has succeeded in a state with weak administration and widespread corruption. “It has created a robust structure from the grassroots level,” said ADRI’s Shaibal Gupta. From the choice of the districts–chosen because of poverty and need and not political influence–to the young professionals hired at market salaries, Jeevika has been the “only one of its kind in Bihar if not in the entire country”, said Gupta. The Jeevika model is being used as a template in other states like Jharkhand and UP. Many of the Jeevika didis are travelling to these states to train the women there.